What the hell is that!? 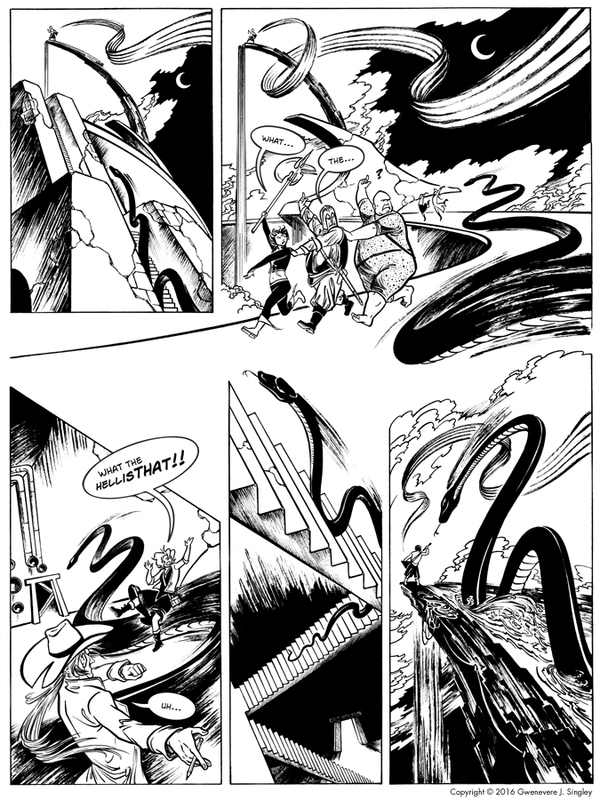 Well, remember what Erroneous was up to a few pages back…? Yeah. That’s what. Just when we thought things were bad enough, now there’s snakes. DANGER. BEWARE. Anyway, QUICK update, no time for the usual blather! (Basically all hell’s broken loose since the last update, I’m still getting back on track with everything, would prefer not to mention politics on here, but yeah, all I can say is ARGH.) Page 200, WOOO! When life gets back to semi-normal I guess I should do something special for this milestone, huh.